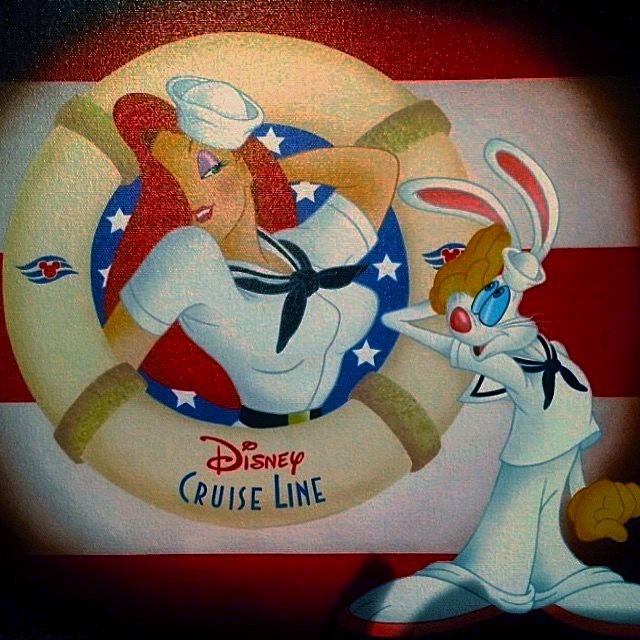 There is some new artwork which has appeared on the Disney Dream cruise ship recently by illustrator Don "Ducky" Williams. It features Jessica and Roger dressed in United States Navy uniforms. Jessica is in the middle of a life preserver ring with the Disney Cruise Line logo. Special Thanks to Siskita for sharing this photo.